Hoodlums disrupt Osun PDP senatorial primary election. 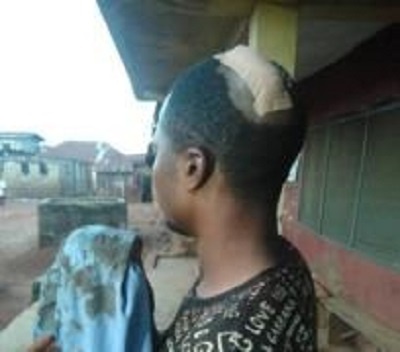 The Peoples Democratic Party primary election for Osun East Senatorial District held in Iwo, Osun State was disrupted by hoodlums. Members of the party had filled the venue with enthusiasm, exchanging pleasantries and determined to affirm Dr. Akin Ogunbiyi to represent Osun West in the Senate. Ogunbiyi's supporters thronged the place as early as 10am, filling up a larger part of the venue while those that were loyal to Dr. Lere Oyewumi who is also contesting the position arrived at the venue 2 hours later. The supporters awaited the officials who didn't show up. Around 4pm Lere Oyewumi stormed the venue shortly after the arrival of the State PDP officials and moved for commencement of the exercise. Meanwhile, the national delegation of the party to the senatorial primary weren't available at that moment and Ogunbiyi was also said to be on his way to the venue but Lere insisted that the exercise must commence. While the process was taking form, supporters of Ogunbiyi hinted the officials that he was on his way and requested that the exercise commence at least after the arrival of the national delegation of the party who were mandated to conduct the exercise. Amidst the slight argument, the hoodlums attacked Ogunbiyi's supporters. The thugs quickly moved towards their vehicles, picked up assault rifles and started firing sporadically. The physical force scuttled the exercise as the party faithful took to their heels. However, with stones, raged youths in Iwo teamed up and confronted the hoodlums who were carrying guns, machete, axe and other weapons. The youths repelled them. While the youths were confronting the affront, passerby and eyewitnesses scolded Lere for coming with armed hoodlums, alleging him of plotting to rob Iwo land the second time. They condemned his desperation to clinch the ticket forcefully, before the arrival of the national delegation. Mudashir Lukman, an indigene of Iwo and PDP leader in the community eventually intervened and brokered peace. f you enjoyed reading this and our other stories, please, share with friends and loved ones.